Clearview carried out one of their largest domestic property jobs last month, fitting Beaufort windows and doors to the property. 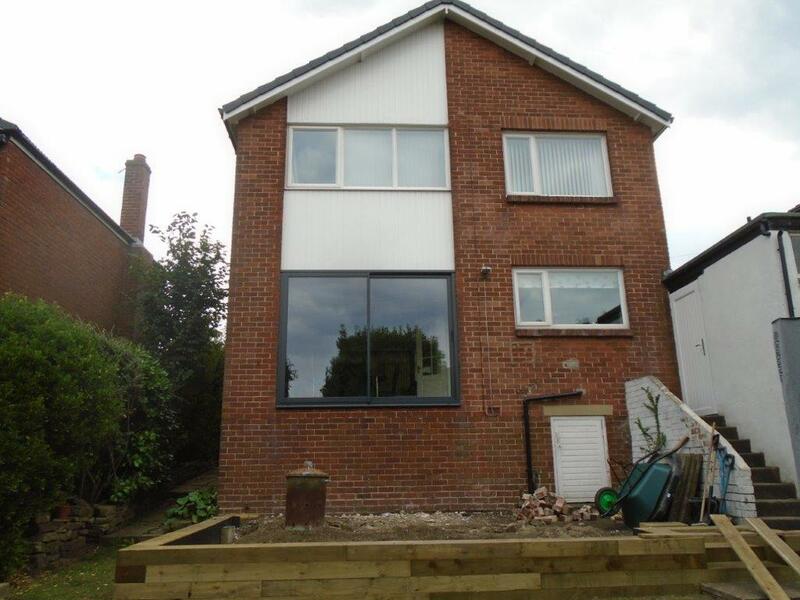 The owner, Mr Butters, required a curtain wall to be added to the left rear of the property, whilst also having brand new patio doors upstairs and bi-folding doors downstairs. He also wanted the upstairs section where the stairs are to have a window which opened as well as solid glass. The job was made slightly trickier because of the elongated pitched roof which appears on the left-hand side of the property, but because Clearview manufacture all our products from our Holmfirth base, it was only the installing part that was difficult because of the size of the glass. The brand new part of the building has traditional features but is modern in design and this is why the aluminium windows and doors complement the creation. The aluminium can be powder coated in a range of different colours should you wish to keep them in-keeping with current windows or doors. Bi-folding doors create much more opening and free glass space than any other available on the market and also simple to use and come with high levels of security and safety. This safety element is extrapolated to all of Clearview’s aluminium doors and windows, which are tested during the manufacturing and installation processes to ensure upmost quality and finish. 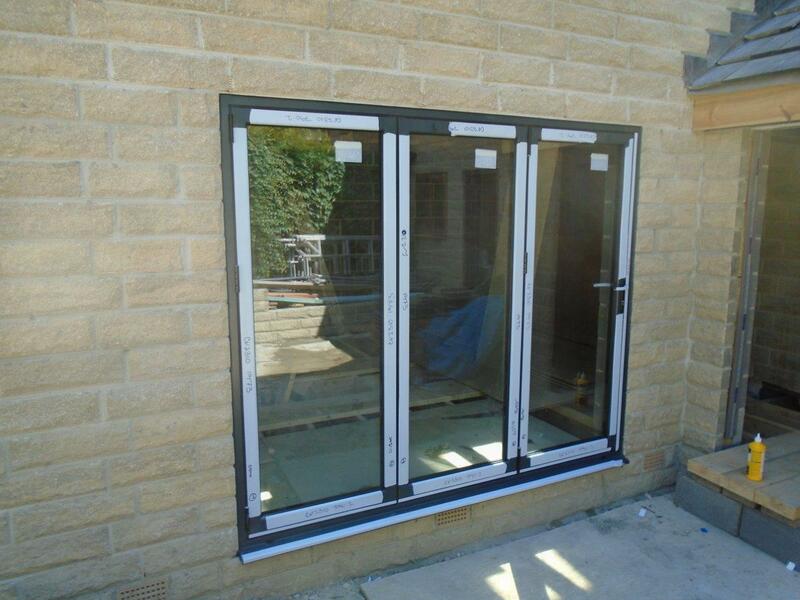 All our doors come with a 10 year guarantee covering, the aluminium, glass, powder coating and installation. 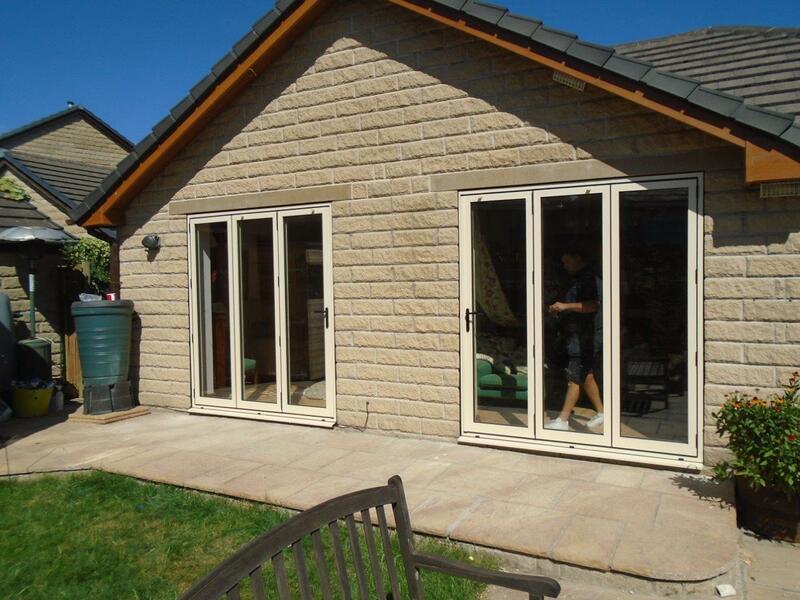 If you require a new patio or sliding door, or even a complete overhaul of all the doors and windows within your home, then aluminium products can provide the quality, style and security you are after. For more information on all of our products, please contact Clearview on 0800 1357167. We look forward to hearing from you.